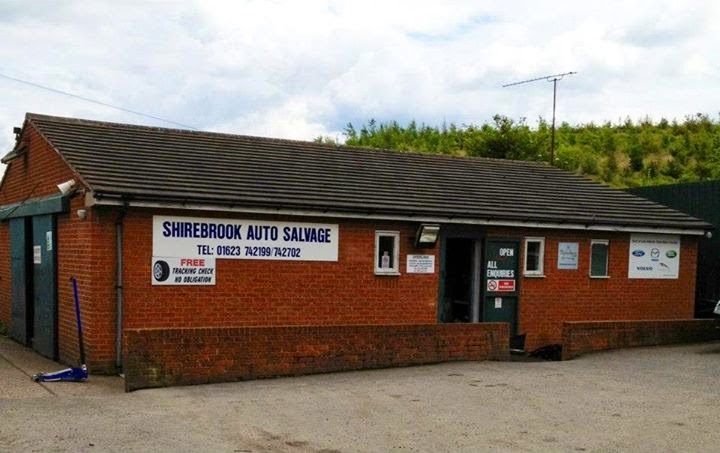 Shirebrook Auto Salvage was established over 25 years ago, and over those years we have seen many changes in the vehicle industry and we have evolved with it. We carry a vast range of top quality vehicle makes and models from the very latest 2014 cars, to cars over 20 years old. We have thousands of parts readily available for collection or dispatch and we also have the facility to fit and balance tyres, provide a wheel alignment service and can also install and program radio's/cd player's and satnav's. We are ideally located to serve surrounding businesses and the general public in areas such as Mansfield, Sutton in Ashfield, Clipstone, Chesterfield, Alferton, Nottingham, Worksop, Sheffield and other surrounding areas. Being conveniently located between the M1 and A1 we can service the country with ease. The years of experience gained through our e-shop means we can provide a delivery service throughout the country and to the rest of the world, we've sent parts as far as Brazil, USA, Russia, China and many more so nothing is an inconvenience to our shipping team. We believe in treating our customers fairly because we want their business for the long term, not just for now. We offer a competitive fast and friendly service that we believe gives our customers the best value for money.